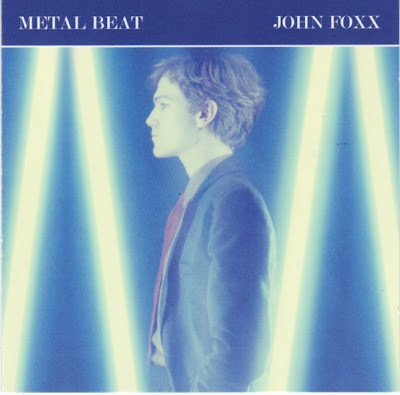 Those of you with reasonably intact memories will recall my review of the 2 CD reissue of John Foxx's seminal work Metamatic...oh back in November of 2007. Now, I've been meaning to revisit Foxx's work since then simply because since 1997 he's been incredibly prolific. Well, here we are finally catching up with the electronic music pioneer. Foxx has since taken the Metamatic album out on the road, performing all of it live, and has released new material on a regular basis. OK, I'm going to discuss a number of releases over the next few days, initially with a look at those related to Metamatic and then a few leaps forward to recent albums like Sideways and From Trash. Essentially this is a live album, recorded during the 2007 Metamatic tour, and is therefore a fitting legacy that captures Foxx and collaborators Louis Gordon and Steve D'Agostino presenting the original album and related B sides to an appreciative audience. The striking thing about this album is how it accurately recreates the rough and ready synth sound of the 1980 tracks and also gives them a subtle reworking to give them that necessary 'kick up the arse' live versions would require. Gordon has been quietly beefing up the drum tracks whilst Foxx has extended and tinkered with various songs, notably Plaza, A New Kind Of Man and Touch And Go, and buffed up the various B sides from the period, including the Smash Hits flexi-disc track My Face and the recontextualised 21st Century (it was originally 20th Century, the B side to Burning Car). Foxx also sounds in good voice too. I've always thought he was a pretty good singer even though you couldn't really describe his singing as belonging to the typical manner of a pop crooner. The later albums, The Garden and The Golden Section tend to be better showcases for his voice, but he appears to be in fine fettle on tracks Underpass and No One Driving. The other elements that leave you giddy with excitement after listening to this are the sense of power you get from revisiting those old compositions with their brittle percussion, all enveloping drones and buzzing. The alienating electronic swoops and screams and the often brash metallic rhythm tracks and noises create a bizarre tension between nostalgia for the original sounds and a newness, as if hearing the whole album for the very first time. That's a clever thing to do and Foxx and his band manage to make a 'future nostalgia' out of Metamatic and it fits right in with the current interest in 'old skool' analogue electronic sounds from contemporary bands and musicians. The debate is, naturally, what's the point of a live album that just recreates what happened in the studio? There are slightly tweaked and extended versions here and that's great but many of them have been released again as 'live studio versions' on Live From A Room (As Big As A City). A New Kind Of Man is a thrilling last hurrah to the Metamatic period and it will satisfy old and new fans alike, especially those who saw the 2007 tour and fans (yes, like me) will snap up every version of every track that's offered. Foxx, Gordon and D'Agostino have clearly spent much effort in making the live presentation of Foxx's masterpiece work for a modern audience and by the sound of it they lapped up every minute of it. 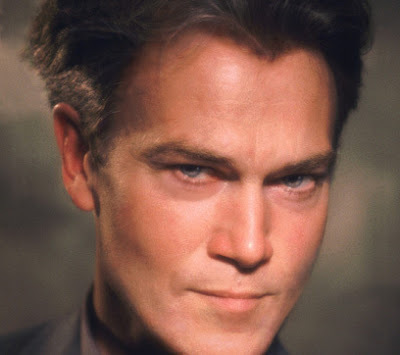 A limited edition companion piece to the remastered reissue of Metamatic in 2007 this 2 CD set finds John Foxx in conversation with Steve Malins, primarily to recall the making of Metamatic back in 1979 and 1980. Each 15 minute segment of chat on the first CD is bookended by demo versions of No One Driving and Touch And Go and various electronic tinkerings whilst the second CD has extracts from the demo of Like A Miracle, an extended version of Plaza as well as a short piece called Jane and tracks rescued from a 1980 tape. The 'interview' starts off a little unevenly with Foxx a little unsure and guarded but Malins puts him at his ease and the conversation really starts to flow. Foxx describes, in his softly spoken Lancashire burr, being 'burnt out' after fronting Ultravox and retreating to a cramped studio in North London, Pathway, to work on the ideas that would eventually form Metamatic. It's clear that he valued the entrepreurial spirit of Punk and certainly without that sense of DIY it's unlikely that he'd have had the guts to set up his own label, the now legendary Metal Beat, and get signed to Virgin. However, like many so called New Wave bands and musicians he could see how the Punk movement would eventually get filtered through corporate commercialism and he's very honest about how boring he felt it had become. He certainly saw the writing on the wall. The chat turns to working with Gareth Jones and Foxx obviously has warm admiration for his collaborator on Metamatic just for his sheer willingness to experiment with and uncover new sounds. He also discusses many of the artistic and literary influences that filtered into the album - Jean Tinguely's self-destroying machines, the Futurist movement, Burroughs and Ballard. What comes across here is a man very passionate about art, architecture, films and books and that for me confirms much of my own reading of his work. This man isn't a mere diletantee pop musician; he's an artist with plenty to say about the modern world, the role of technology and media and the way our environment is constantly changing. He is a keen observer of his surroundings and makes some very interesting comments about London in the late 1970s and how you can never truly get back to your roots because the city and landscape of your past is being rewritten as you live and breathe. I was particularly intrigued about how he links the Beatles with Kraftwerk. He clearly sees Kraftwerk as a modernist German response to the hideous social scars of Nazism and WWII in much the same way that the Beatles were a working class British response to post-war austerity. This implies to me that his response to Punk and the Britain of Labour's 'winter of discontent' was in a similar vein and it took the form of a European electronic psychedelia. The second CD takes up the story with Richard Branson's creation of Virgin and how it was run so effectively by Simon Draper. Foxx acknowledges the good support from them and Draper in particular. He suggests that touring Metamatic at the time would have been difficult and he wasn't exactly keen. Current technology however now allows him to present it the way he wants to, including the potential use of shooting the audience with infra-red cameras and timelapse and the rich possibilities of using phone cameras. He's excited by the way he can now re-think live presentations. He acknowledges the influence of Ballard, through Crash and The Drowned World, as the only English middle class author who reflected the way the world constantly fell apart and rebuilt itself. Ballard's unique observations of the world, of cities, cars and buildings were filtered in a subtler way through Foxx's music and he also comments on Last Year In Marienbad as a romantic, stylist influence. He sees Ballard's The Atrocity Exhibition as a prescient work about today's media and Crash as a 'metaphor for post-carbon conditions'. They chat briefly about the discovery of Cinemascope and To Be With You on some old demos and how these were rebuilt for the re-release of Metamatic. He recalls the creation of Jane for a New York DJ - 'a sort of ident thing' (it's quite lovely) and it seems quite sad that he never sent it to her. Malins then asks him about the commission for '20th Century Box' - a Janet Street-Porter arts programme (a track which became 20th Century), the recording of Burning Car and This City. The construction of Metamatic is described as a process of stripping away ('an anti- Trevor Horn') and what became The Garden as an opposite process, putting stuff back in and playing in a band again. He also mentions an affiliation with Asian dub and how this influenced the album where he and Gareth would physically dub the tracks on the production desk and mentions bass player Jake Durant's and keyboard player John Barker's contributions. The CD concludes with a chat about the image of the suit in the armchair which is apparently a powerful cue from a still seen in Famous Monsters Of Filmland and Foxx recognises a universal pool of shared references that other artists like Cindy Sherman and David Lynch dip into. A lot of Metamatic is regarded as a commentary on films and cinema and how other worlds can be opened up by films - a 'dream grammar' - and Foxx eloquently talks about screen logic and the disjointed nature of cinema. I would recommend this CD if you want to hear Foxx talk about his craft because he's a fascinatingly erudite but reserved man. The snippets from the demos and experimental work don't dominate but are also intriguing in themselves. Let's hope we can get a similar discussion going when the remasters of The Garden and The Golden Section are released later this year.